Buttermilk chicken with crispy cornflakes recipe. Learn how to cook great Buttermilk chicken with crispy cornflakes . Crecipe.com deliver fine selection of quality Buttermilk chicken with crispy cornflakes recipes equipped with ratings, reviews and mixing tips.... Just heat it until the tip of one of the breaded chicken fingers dipped into the oil results in many, many enthusiastic bubbles flying up around the edges of the chicken. Add egg and buttermilk to a medium-sized mixing bowl and whisk to combine thoroughly. Similar recipes. 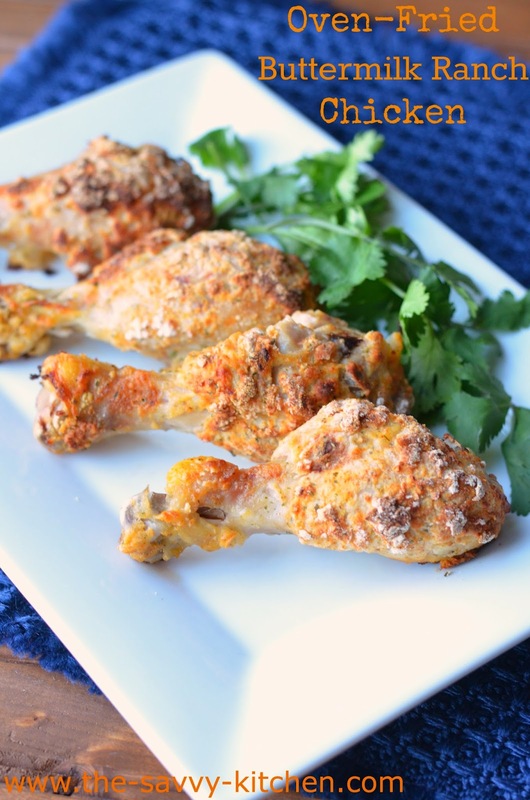 Also see other recipes similar to the recipe for crispy fried chicken recipe without buttermilk. how to make fake braces that look real without glue Fry chicken a few pieces at a time so oil doesn�t cool down. Turn chicken to brown evenly and remove when golden and cooked through. Wings should take 10 to 15 minutes, drumsticks 15 to 20 minutes, breasts and thighs 20 to 25 minutes. Chicken is done when meat thermometer inserted in center reaches 170�F. Drain on wire rack to keep chicken crispy. Add the chicken to the bag, press out the air, seal the bag and marinate the chicken in the refrigerator for at least 24 hours. When ready to cook the chicken, preheat the oven to 400 degrees F. Remove the chicken and discard the excess marinade. 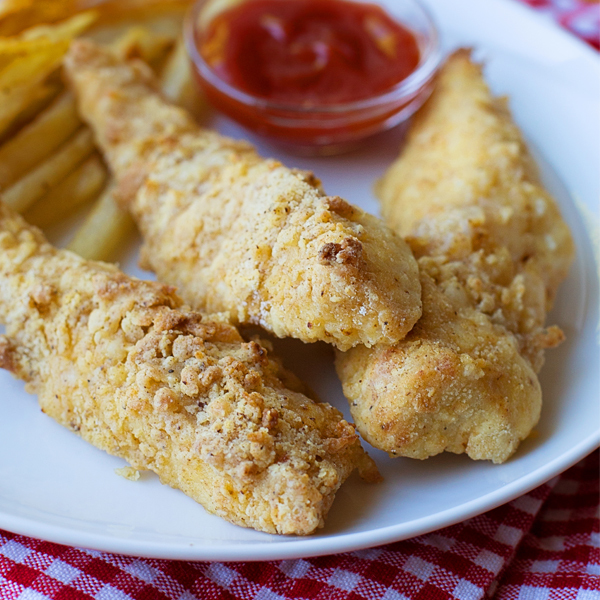 Fry chicken a few pieces at a time so oil doesn�t cool down. Turn chicken to brown evenly and remove when golden and cooked through. Wings should take 10 to 15 minutes, drumsticks 15 to 20 minutes, breasts and thighs 20 to 25 minutes. Chicken is done when meat thermometer inserted in center reaches 170�F. Drain on wire rack to keep chicken crispy. Dip a few pieces of chicken at a time in buttermilk mixture, then place in bag; seal and shake to coat. In an electric skillet, heat oil to 375�. Fry chicken, a few strips at a time, for 2-3 minutes on each side or until no longer pink. Rinse off chicken strips and add them to the buttermilk mixture. Let them sit while you prepare the crunchy mixture. Let them sit while you prepare the crunchy mixture. In a large food processor add cornflake-cereal, paprika, fresh thyme, garlic powder, and salt.